just passed CCNP composite exam.. got a perfect score.. TI and P4S were really a great help..
by the way, do we already have dumps for TSHOOT? I would gladly contribute for the group buy..
Hey what happened is i'm CCNA but i have two CISCO ID'S one has not passed CCNA the other one has the CCNA, so when i booked for my CCNP Composite exam, i was booked with the CSCOID that has not passed the CCNA exam, but i must say i am winning on this one, contacted CISCO and they asked me for further details to be able to merge the accounts in to one. 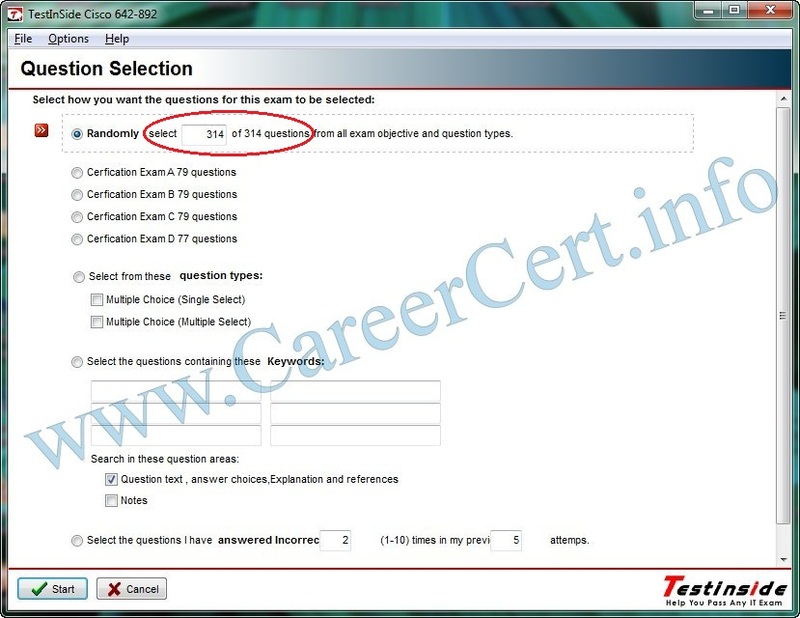 You can write any exam in any order -BUT- you will get your certificate only when you complete the prerequisites for that particular cert. So in order to get CCNP cert, you must pass CCNA. You can write CCNA either before or after CCNP but there is no logic in doing associate level exam after professional level. Hey careercert i want to know if you can write CCNP Without CCNA? Because i had two Cisco ID'S one had passed CCNA with and the other didn't pass, so when i booked for the CCNP composite exam, the system picked the Id without CCNA certificate, so i want to know if i have lost or that result will stand so that i can add TSHOOT TO IT. Because i had Cisco ID,S one had passed CCNA with and the other didn't pass, so when i booked for the CCNP composite exam, the system picked the Id without CCNA certificate, so i want to know if i have lost or that result will stand so that i can add TSHOOT TO IT. upto when ti5.25 is updated ? @Balaji: I am using TIv5.25, is it good enough? How many questions should we expect outside TIv5.25? Any help in this regard will be greatly appreciated. I will sit my exam this weekend. Can you initiate a new group buy for iscw – testinside. Since there is not point going for GB ONT if GB for ISCW is not available. I am only interested in testinside. thanks to all i have pass 642-892 composite with the help of this site.I Got 958/1000. 4.3 to 4 Questions from BGP attributes. I am going to write composite exam this weekend, i wil use TI5.25, anyone has recently written this exam and used TI. Kindly comment if this TI version is still valid to pass the exam. 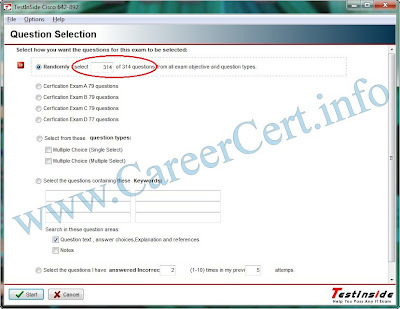 Simuation questions can not be simulated in practice tests. They are given as topology diagram and plain command line configurations. 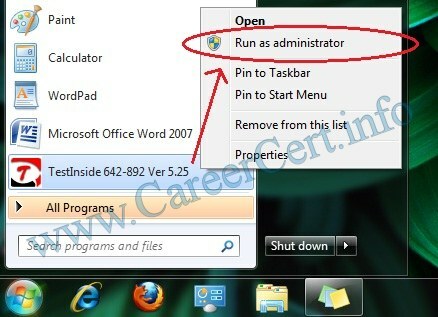 You have to understand and enter these commands in exact order in real exam. I have participate in the group buy, but I can't see any Simulations I am using the optimize mode A,B,C,D. I have beentold that they come in PDF format file. yes, it contains all lab simulation questions. 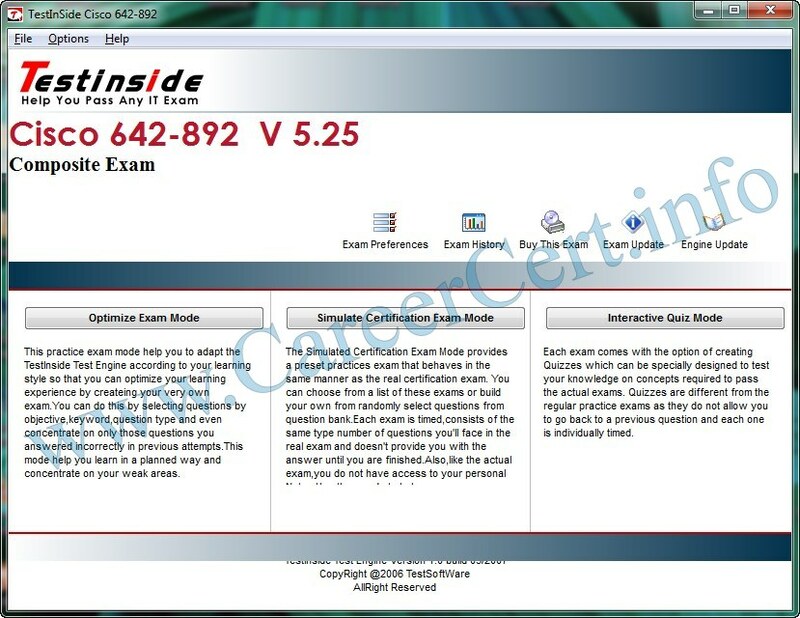 Does the CCNP 642-892 Testinside v5.25 (314 Qs) contain the exam LAB/Simulation? The updates for CCNP dumps will be sent until 31st july. Any other dump have 2 months updates. If you contribute for any dump then you'll get updates for only that particular dump. You have to contribute separately for different exams. hi im chetan here if im contribute money how much day i got dumps? and if im contribute for composite exam dumps can i get different exam dumps like TSHOOT? @ Efren, Good luck mate. @ Anony.. You can use moneybookers. Email at [email protected] for details. i have contributed both for P4S and TI. Wish me luck. Yes, it is the final one. BTW the date is 18/5/2010. Email me for any details about alternate payment methods. Discussing here is not feasible. ok thanks…tell me how to i pay you …can i transfer you the money direct in your bank account or i must have pay pal ? or can i send you the cheaque please….n how much it would be for a group buy ? 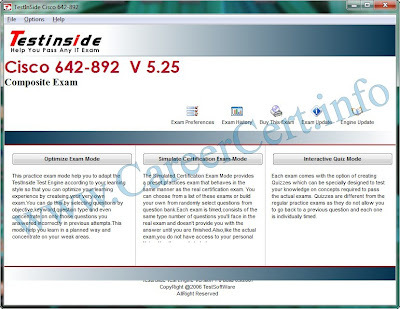 yah, the composite exam have about 4 or 5 lab simulations and they are very crucial in building the passing score. ti is good but this composite will have 4 simulations i guess.. if i miss out on 1 then i might go down .. Both p4s and Ti are equally reliable. Both have their own advantages. Ti contains less questions and p4s have explanations. FIrst of all thankful to for a great site of yours which is helping a lotta Network Professionals like us to advance in our Career. Here i'm ready to make a contribution for this exam, however i wanted to check with you if TI is as reliable as P4S, because P4S is still showing 614 questions for this particular Exam which is almost double the TI number of Questions. Kindly Suggest as i'm thinking of taking this exam soon. So what is the confusion dear? The above testinside is the latest one. basically i have been directed here to find out the dumps for 642-892….so can anybody help me out please..i m ready to make any contribution if needed..